5 Points Apartments (Legally) Becoming Dog Friendly? 5 Points residents have often screamed 'legalize it', and now they may finally be getting their wish. 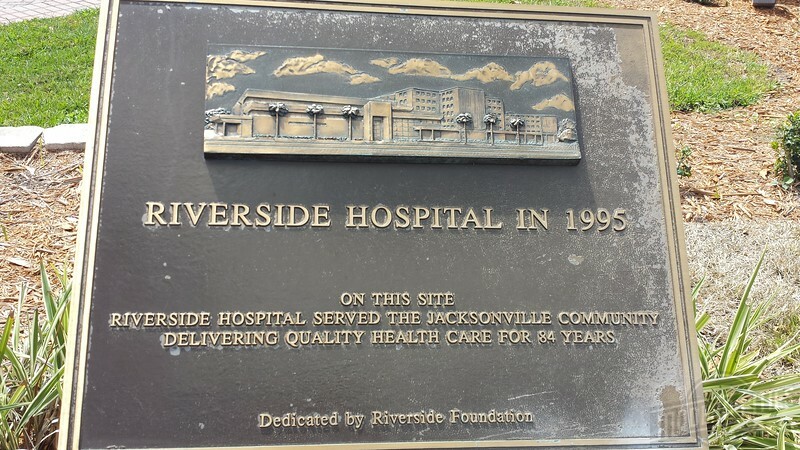 When the four-story, 257-unit Bell Riverside apartments (then called Villas of St. Johns) were first proposed in 1999, the complex was one of the first major construction projects to break ground in Five Points in several decades. 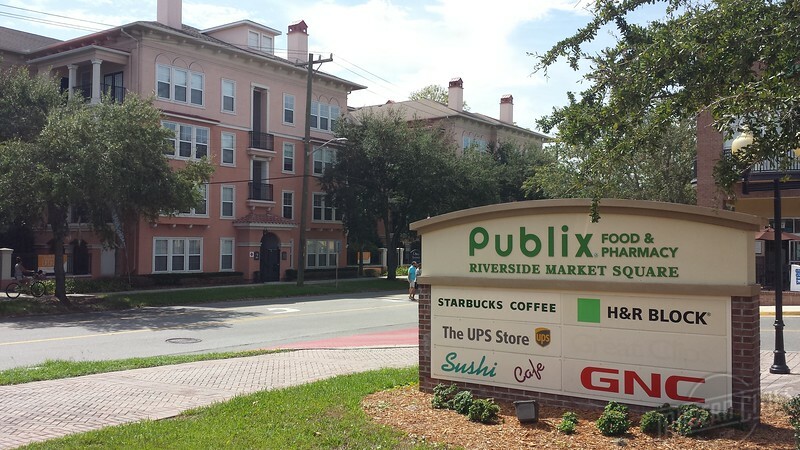 The development across from what is now the Riverside Publix, replaced a former surface parking lot previously used for the now-extinct Riverside Hospital. Bell Riverside replaced a surface parking lot for the Riverside Hospital that once occupied an entire city block along Riverside Avenue. Land use laws restricting the number and types of animals a person may own are not unheard of, as cities seek to protect property owners from nuisances (unlawful interference with the use and enjoyment of a person’s land), such as unpleasant odors and noise made by animals. However as pets are considered personal property by law, many pet owners contend that such restrictions negatively impact their own property rights. As such, several land use laws restricting pet ownership have been struck down by the court system as being overly invasive and unreasonably warranted. Although the landmark Riverside/Avondale Zoning Overlay passed in 2008 did not include personally intrusive stipulations regulating pet ownership in the Riverside neighborhood, Bell Riverside residents have never been allowed to house dogs in their units since the complex began accepting tenants in the year 2000. This week, a minor modification (MM-2017-20) was brought before the Planning Commission that requested to strike out a curious written description of the apartment buildings’ original zoning application that prohibited dogs in the development. A look at Bell Riverside, located across the street from a grocery store, restaurants, various retail businesses, multifamily buildings and a large public park. Despite being in the heart of a walkable neighborhood, land use regulations prohibit residents from having dogs in their apartment units. Potential residents of the apartments were often confused as to why cats were allowed, however dogs were prohibited. This restriction turned away many single young professionals and empty nesters, who were themselves dog owners. After nearly two decades, the property owner began the process of requesting that this land use restriction be permanently removed from the zoning Code. Many in City Hall were surprised to find that the apartment complex was operating under such a construct. 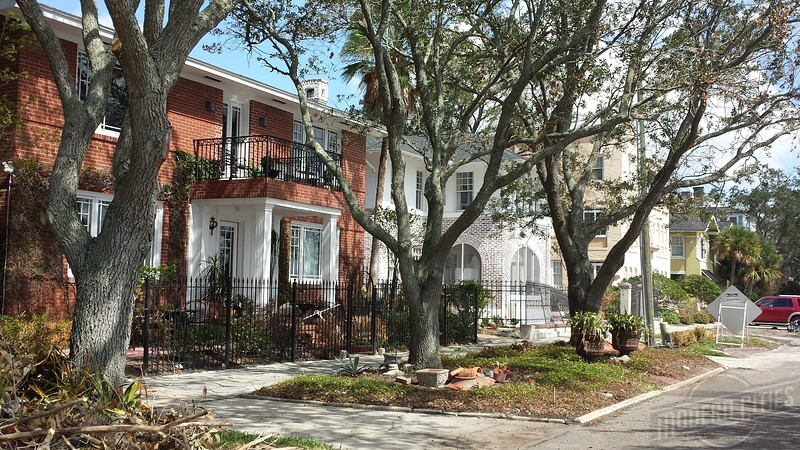 In fact, the effort to restrict dogs in this popular Riverside apartment complex was handled mainly behind the scenes, spearheaded by a small group of well-connected homeowners in the neighboring St Johns Quarter Historic District and supported legislatively by then City Councilman (and otherwise honorable and storied public servant) Jim Overton. Despite the fact that the St Johns Quarter Historic District contains a large number of multifamily structures (including some of the oldest structures in Riverside), the objecting residents successfully lobbied elected officials that restricting canine companions would minimize impacts on single family homes and the 5.86-acre Memorial Park. A look at the St Johns Quarter Historic District. The St Johns Quarter Historic District is flanked by St Vincents Hospital to the West and the Five Points Historic District to the East. 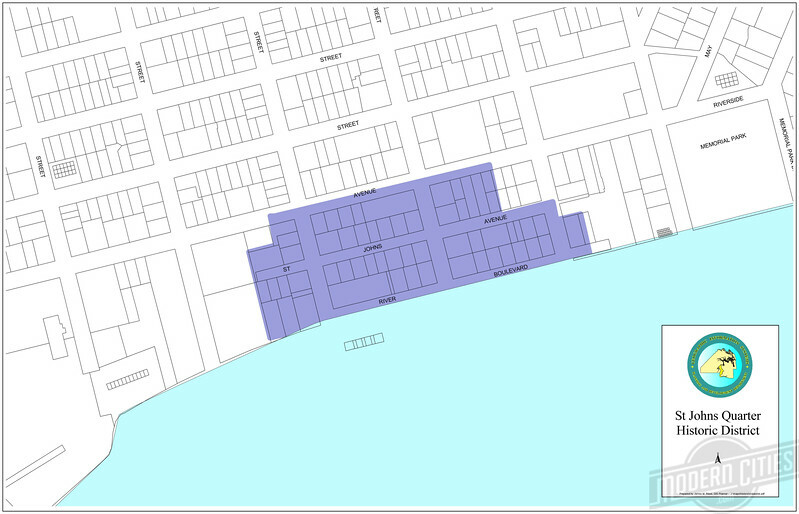 The St. Johns Quarter is a six block, 18 acre section of Riverside that is a locally designated historic district. The historic designation is intended to keep buildings from being demolished and incompatible buildings from being built. Some of the more notable buildings in St Johns Quarter include: -The Leon Cheek Residence (referred to by locals simply as ‘The Castle’), what may be one of the most elaborate residential structures in the historic district. Leon Cheek was the owner of downtown’s massive Cheek-Neal Coffee Company, now known as the Maxwell House Coffee. -The 16 story Park Lane building was Florida’s first high-rise condominium building when it was completed in 1926. The concept came from its developer, Francis Mason, who brought the idea back from a trip to New York. Original units sold for $12,000 and up. -The Fenimore Apartments were completed in 1922, at the cost of $90,000. It is said that the name “Fenimore” was taken from James Fenimore Cooper, whose novels were popular at the time. -The Riverside House (now apartments) was constructed in Brooklyn around 1870 and was a part of “Riverside Row.” During its stay in Brooklyn, it was known as the “Rochester House.” It was moved to its present site by barge roughly 100 years ago. Multifamily structures dominate the Five Points and St Johns Quarter areas, easily the most vibrant and walkable mixed-use enclave in Jacksonville. 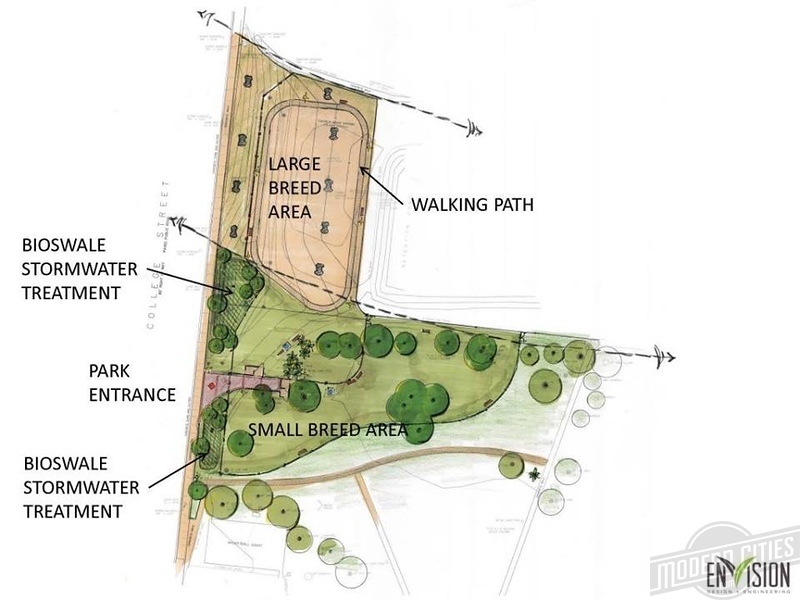 The area is also served by two large parks, the aforementioned Memorial Park as well as the 11.4-acre Riverside Park- which includes the 1.5-acre John Gorrie Dog Park opened in 2016 with a combination of $300,000 in public funds along with $150,000 in privately-raised money. That for 17 years, a behind-closed-doors effort by a small group of residents that didn’t want people walking dogs on the public streets adjacent to their homes has restricted dog ownership in Riverside, serves as a cautionary tale of how NIMBY-oriented zoning actions can create a black eye on land use laws. 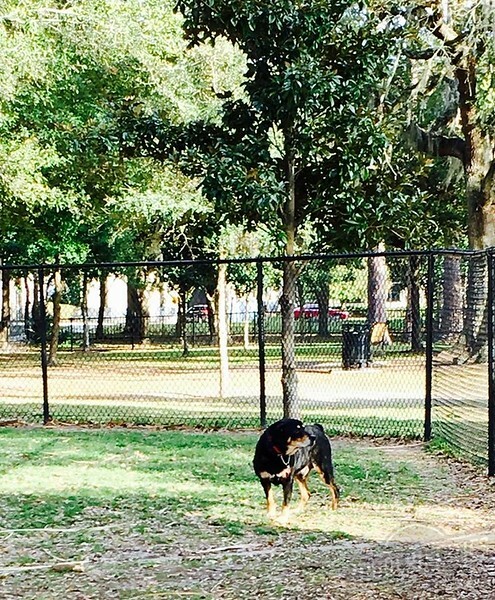 The fight continues for dog-loving Jaxsons as the Planning Commission voted to defer action on the request last week. The issue will be heard again later again this month.